Storytelling is a great tool to add to your belt of equipment you use as a creator of experiences. But storytelling while one of my favorite tools is just like any other tool. It isn’t the tool that is nearly as powerful as the wielder using the tool — the craftsperson. What you invariably decide to do with the tool is what makes the tool impactful. 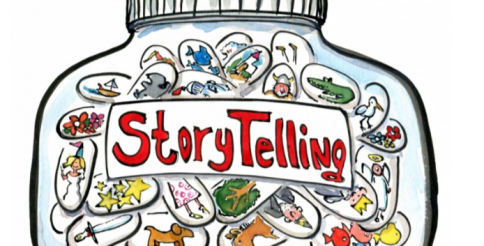 Stories are a key way to bring to life the situations in which we imagine people being engaged with our products and services. “Bring to life” means allows a set of human beings to feel connected to another set of human beings (real or fictional). That connection, resonance, empathy, sympathy, etc. apparently is as useful, if not more powerful tool than the best presented data could ever be. In my experience, people will in fact only ask for data when their gut can’t otherwise process the assumptions being expressed around any request for a decision. Now imagine a different scenario, where the designer never actually addressed the color of any of the buttons at all. Instead they presented their complete vision where real people experienced a complete system with satisfaction where the intrinsic property expressed is how those real people valued the design. The question of a simple hypothesis of whether a color button would be good or bad would be completely ignored. Why? because the story version of the presentation focuses on the experience people will have and the value they will (hopefully) receive from the holistic design, instead of focusing on the individual featured components — any one of which is quite meaningless by themselves. The success of the design is then not on the details, but rather the total story’s ability to convince folks of its probable success. The value of the MVS is that it works at the most simple fidelity. Stand up and tell it. Yup, spew your monologue in front of a peer. Give it a critique based on believability and iterate adjust with both content and fidelity. Fidelity can change by bringing in actors, sketching screens, compiling role-play, etc. Each time you take pieces to adjust the story’s feel with the goal of determining the story that would create the best sense of value. At some point, of course, get this story in front of customers and stakeholders. Get feedback. Create buy-in. Make adjustments. Increase fidelity again in how it is visualized, how it is choreographed, and what problems it is focusing on/solving. The goal here is that in mixed teams, existing product teams, this is a great way for design and product to lead innovations without distracting dev resources until we know they are needed. Once the story is vetted, you can now move from MVS to producing MVP. However, there is a change. Instead of a team focused on function/feature, you now have a team who understand the intrinsic value expected from the experience they are collaborating towards. You will never have just an MVP again if you take this path. It will always be a valuable story of increasing fidelity that everyone on the team will tell with the confidence of a storyteller around the campfire on a full moon. This piece was written by Dave Malouf at medium.com Illustration used in medium.com piece under creative commons.